response efforts in an emergency. In 2015–16, chestnut production of 1,350 tonnes was valued at $6 million (LVP). Around 1,300 hectares are planted with 250,000 chestnut trees. It is estimated that with more trees planted, production will rise to approximately $12.5 million by 2020. The main varieties grown are Red Spanish, Purton’s Pride and De Coppi Marone. Chestnuts flower during November and December and are harvested from March through to May. The industry is primarily focused on the domestic market with approximately two per cent exported, mainly to Asian markets. Chestnuts are grown mainly in the southern states of Australia, primarily in Victoria. Throughout 2017 Chestnuts Australia continued to participate in the Emergency Plant Pest response for chestnut blight, including sitting on the chestnut blight decision making committees, the Consultative Committee on Emergency Plant Pests (CCEPP) and the National Management Group (NMG). In addition, Chestnuts Australia has participated on other relevant and appropriate NMG and CCEPP activities and exotic incursions. Australia is free from major exotic insect pests such as the chestnut gall wasp and chestnut weevil. Chestnuts Australia includes biosecurity as an integral part of its activities. Biosecurity is considered in the Australian Chestnut Industry Five Year Strategic Plan – 2015 to 2020 and is covered by the risk analysis documented in the nut industry biosecurity plan. The industry has regular representation at PHA meetings and the Australian Government’s Biosecurity Roundtables. A Hort Innovation project is keeping the industry up to date with the latest news, R&D outputs and other information, including on biosecurity, through a variety of channels. 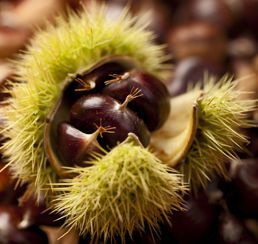 The chestnut industry is covered by version 3.0 of the nut industry biosecurity plan. 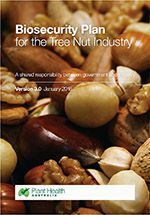 The Biosecurity Plan for the Tree Nut Industry outlines key threats to the industry, risk mitigation plans, identification and categorisation of exotic pests and contingency plans. For a copy, please contact PHA on 02 6215 7700 or email admin@phau.com.au. The following is a list of high priority exotic pests of chestnuts. 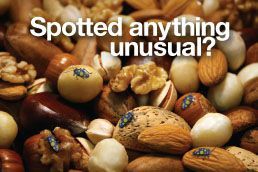 These pests were identified during the development of the Biosecurity Plan for the Tree Nut Industry in consultation with industry, government and scientists. They have been assessed as high priority pests based on their potential to enter, establish, and spread in Australia (eg environmental factors, host range, vectors) and the cost to industry of control measures. The following is a list of documents for other exotic and endemic pests of the chestnut industry. Please note that this is not a complete list of pests: rather it includes pests for which documents exist in the Pest Information Document Database. The documents presented here are not tailored to the chestnut industry and are included for information only.